We need that as a Emoji on here. from what I've read Buckingham wasn't popular with the players …….the crowds dropped like a stone with him in charge even though we never finished outside the top 6 which sort of goes against we were an attractive team to watch . …….i'm only guessing but taylor and him were chalk and cheese and no real surprise when the board got rid . …..cant have been an easy job though for him coz in the 3 years he was here I can only think of 3 players that he signed from other league clubs which tells you how much ambition the board had . I can’t honestly imagine the drop in crowds being at all related to the style of football we were playing. My memory is of us regularly scoring 3 or 4 and going to Hillsborough expecting nothing other than a win no matter who we played. I personally never got that vibe again till Ron took over. but by the time Buckingham left we'd dropped to 10th and lost 6000 supporters from when he took over …...I remember him as not being popular but like I said earlier he was probably hamstrung by the board's tightness in the transfer market . There are two very much publicised myths that abound 1. That Wednesday were 'tight in the transfer market' and 2. That Eric Taylor ran the club. To answer the first - I well remember Wednesday breaking the transfer record by paying £32,500 for a certain jackie Sewell. I also remember the disapproval this caused in the Press at the time -'Atrocious' being only one of the lesser. 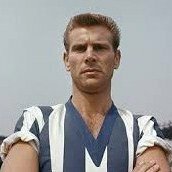 They also payed the then record fee for a Goalkeeper when they bought Ron Springett. Don't forget that players and clubs abided by contracts much more so than today, and ther was no 'Transfer market' as we know it. As for the second, on the board, and very much a back-ground figure was a certain Dr. Andrew Stephen, who later became head honcho of the FA. He certainly had a final say in many decisions. Don't forget that Taylor's original position was Secretary before being appointed Secretary-Manager. The Transfer market as such was a much different place to the one we know today., and Wednesday were not behind the door at spending, though not known for 'splashing tye cash. You're quite right Owlerton Ghost! Dobson was quite a star at Huddersfield & helped them to a League Cup semi(lost to Arsenal!) & then helped his great friend Don Megson at Bristol Rovers(that's mentioned in Megson autobiography). Good player! They broke a few transfer records,but they were mostly decades apart,we never followed them up with the two or three further signings that would have really pushed the side on,instead we followed the decades old club policy of recruiting promising cheap talent with view to improve,which worked for a certain lenght of time and during that era,but that policy cameback to haunt us as the 60s moved on,we didnt move with them. What a visionary compared to pigmies now at top of footy. Sad what money's done to our beautiful game. Same old Owls executives - never outta top 6 of top league and we ditch him.